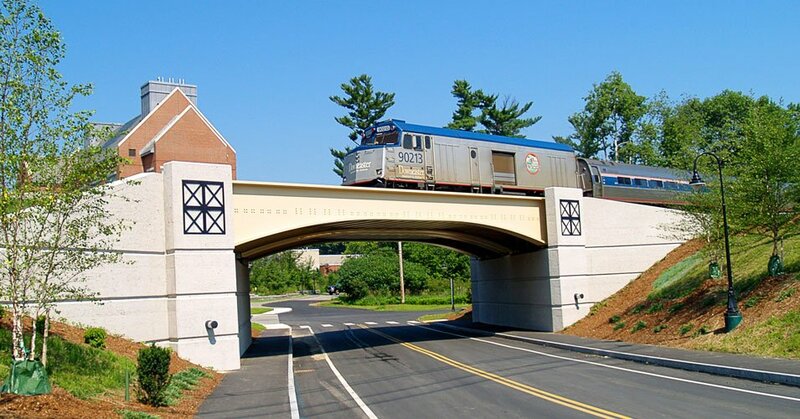 As part of the new McDaniel Drive Extension on the University of New Hampshire Campus, CDR Maguire designed a new structure under the existing B&M Railroad tracks (Guilford Rail), which are the mainline tracks connecting Boston with Portland, Maine. The company performed a number of studies to determine the best construction methods and materials to maintain rail service. Architectural features were important for this project because of its location on campus.